This is my first attempt at melting crayons to create my chosen design. 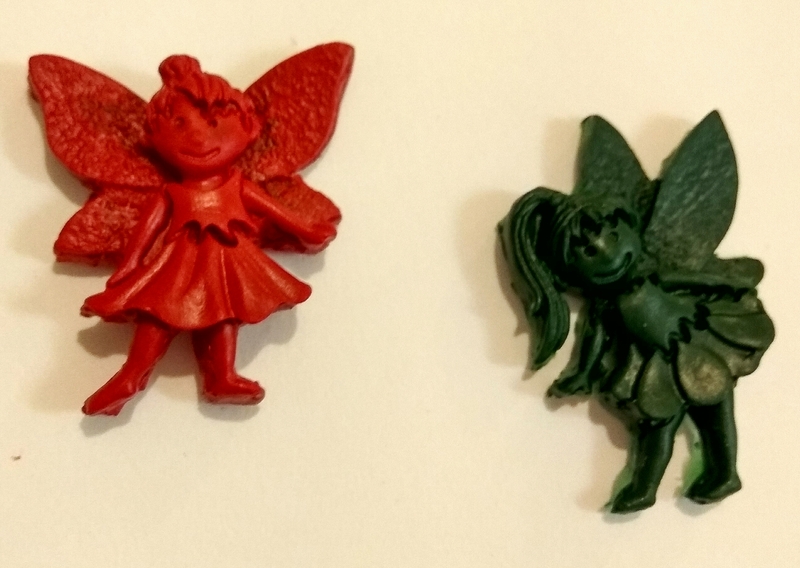 I had a silicone mould of some fairies, broke some old crayons into the mould and put it in the oven for about six minutes at 200 degrees. They melted surprisingly quickly and, despite being very delicate, they actually worked out quite well.